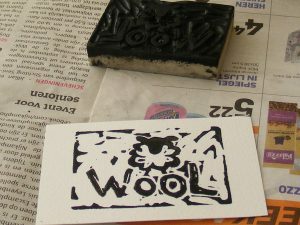 Prepared wool for a small project. 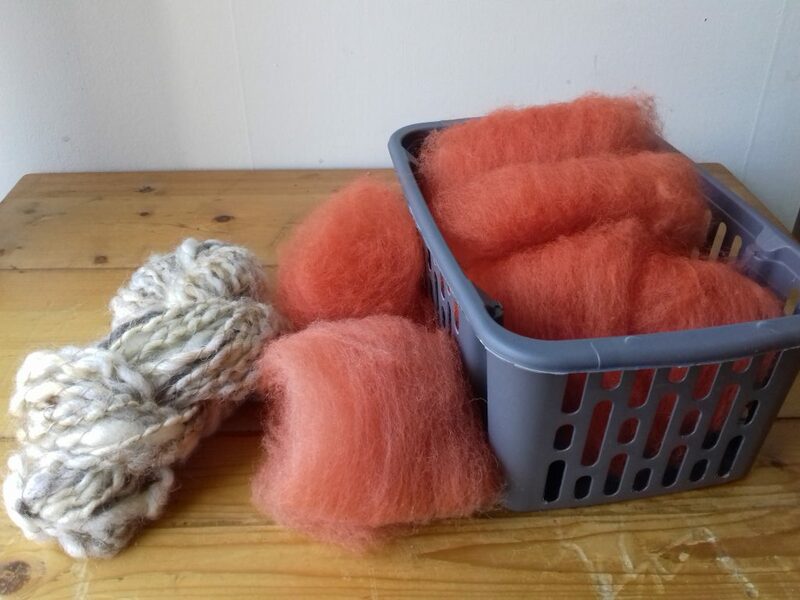 Left is schoonebeeker wool twined with linen, right is madder dyed wool, carded to spin. 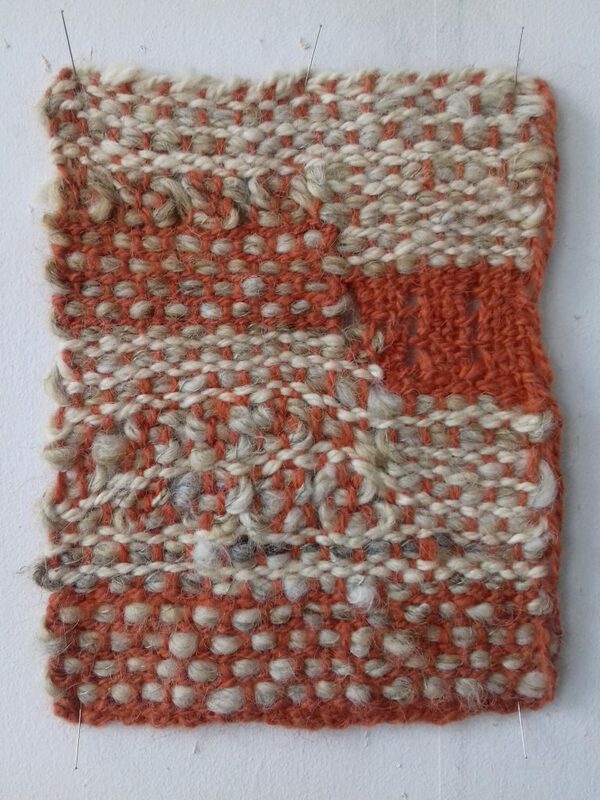 I wanted to capture the thick schoonebeeker with the madder dyed yarns and planned to add one or two plain squares. 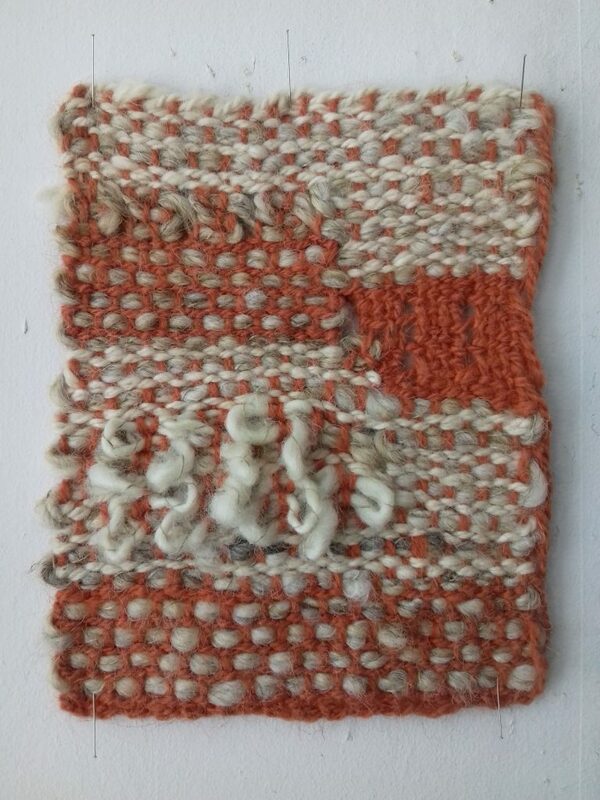 But I ended up with irregular shapes formed by different weaves and yarns, because I wanted to try it all out in this one little piece.